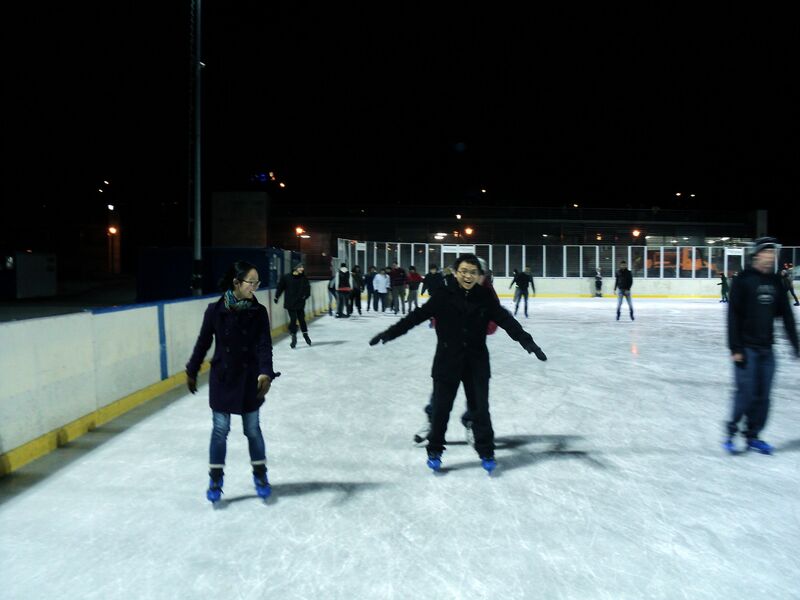 The ice rink at Városliget closed today. 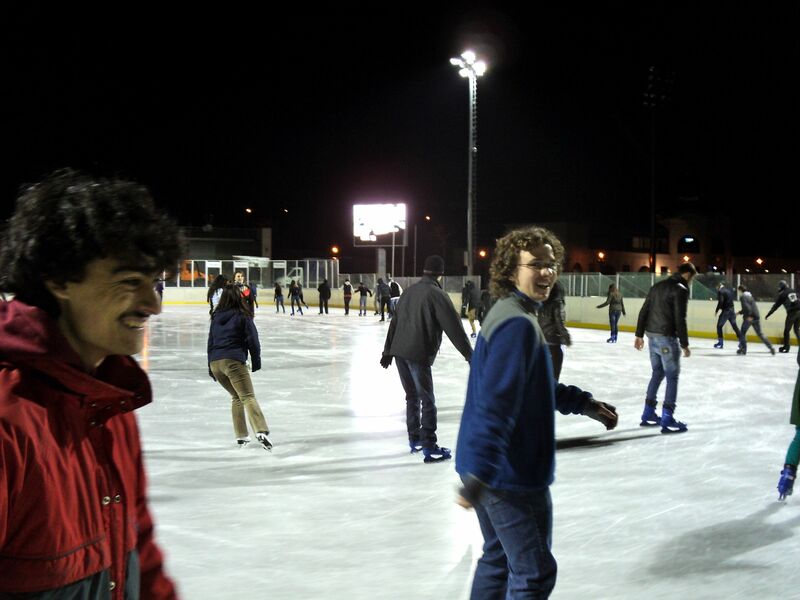 A bunch of us met up at the park on Sunday to go skating once more before the end of winter. Only the little rink was still open, sadly. But we had a lovely time nonetheless. Keith and David, listening to the awesome music selection and trying not to fall over. We were moderately successful. Mika, Jack (with Kovács giving him a push) and George. 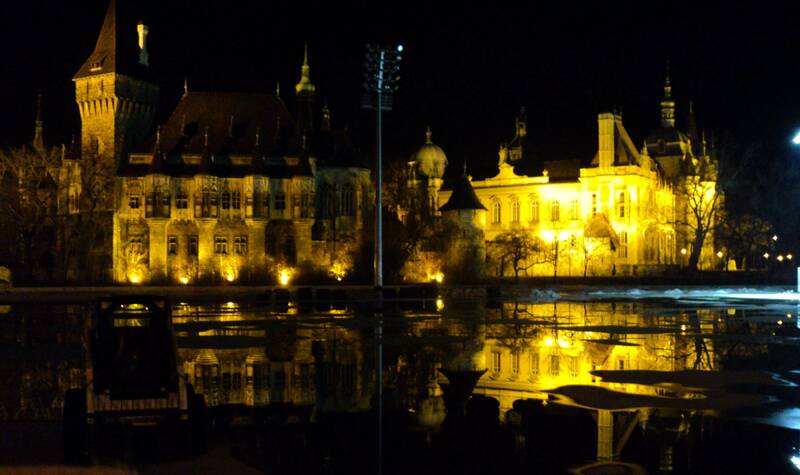 The castle at night, and reflected in the melted remains of the big rink. A good end to the weekend, basically. Now, onwards to midterms! 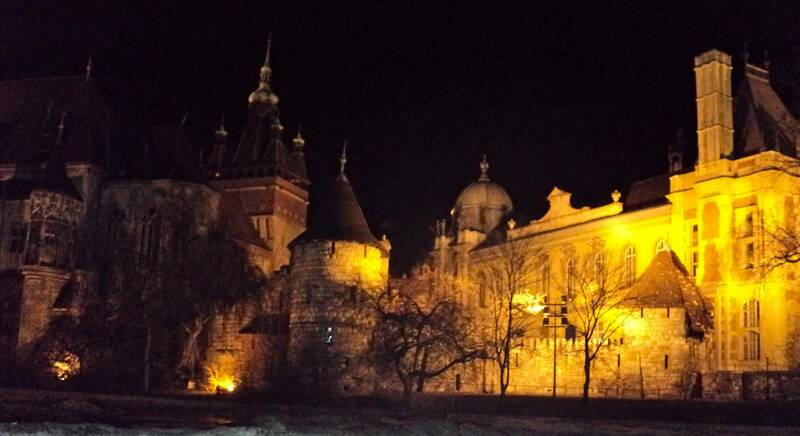 Love the romantic night shot of the castle! Midterms already? Spring is coming fast. The castle reflected in a melting ice rink is a great metaphor.